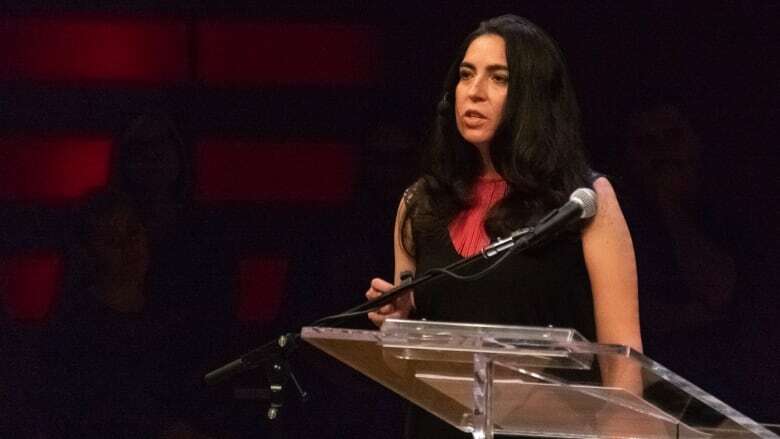 Prize-winning journalist Tanya Talaga (author of Seven Fallen Feathers) explores the legacy of cultural genocide against Indigenous peoples — in Canada and elsewhere — in her 2018 CBC Massey Lectures, All Our Relations: Finding the Path Forward. 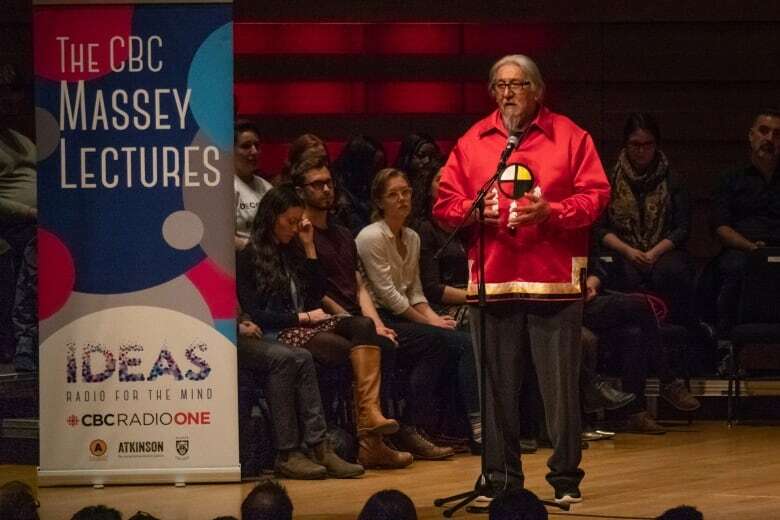 Listen to all five of the 2018 CBC Massey Lectures on IDEAS on CBC Radio One and SiriusXM, starting at 9:00 p.m. (9:30 p.m. NT) on Monday, March 25 through Friday, March 29. Click here to listen online. For Talaga, that cultural genocide has led to a forced disconnection from land and language by Indigenous peoples. The need now, she says, is for Indigenous self-determination in social, cultural and political arenas. Many communities, in Canada and abroad, are finding that the road back to a relationship with land and language are keys to community healing — to what, in fact, it means to be Indigenous. The book version of the lectures is published by House of Anansi Press. The lecture series begins with the troubling epidemic of suicide, particularly among young people, in Indigenous communities everywhere. This is an outcome, Talaga argues, of a long-seated policy of colonisation that expressly denies Indigenous people everywhere of the basic "determinants of health": the right to clean water, safe homes, access to education and healthcare. She recounts the story of seven young women who took their own lives in Wapekeka and Poplar Hill, and the governmental failure on all levels to put systems in place to deal with mental health issues. It's a collective failure — a symptom of colonization, conducted over centuries — to see Indigenous peoples as cultural equals to white Western societies. And the answer? Indigenous peoples have to go back to the questions of who they are, and where they think they're going. And then there's the issue of land. One of the tools of colonisation, Tanya Talaga argues, has been the forced severing of Indigenous people from their land. It's had a devastating effect on Indigenous people's sense of identity. We hear the story of Ed Metatawabin in Northern Ontario, who is trying to counter all this by re-introducing young Indigenous people to life in the bush — teaching them almost-lost skills of how to live off the land. Indigenous people have always known how to live off the land, but the settler attitude is to treat the land as something to be used and taken from, rather than nurtured. The more we damage the earth, Talaga argues, the more we damage Indigenous people's sense of themselves in a relationship with the land. If, however, young people can learn about the old ways of the land, they can find a way back to themselves. 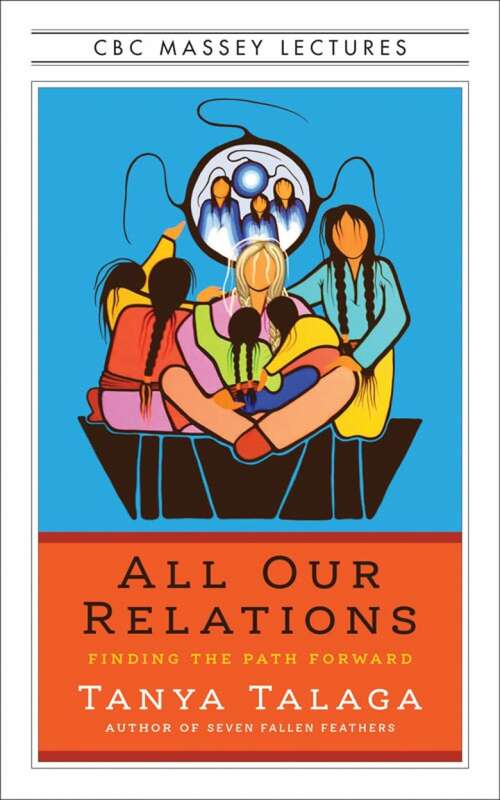 Kinship, inclusion, equity and acceptance: these are values of Indigenous peoples everywhere. But they have also inherited a similar combined history of broken treaties and racist laws, broken families, and the separation from the traditional way of life. An Anishinaabe child is brought up to respect and relate to the earth in a complex, symbiotic, mutually-dependent way. In Australia, much like Canada, complex sets of laws were developed by the colonists to break the power of Indigenous culture. It was a form of cultural genocide, forcing Indigenous people into a kind of no man's land: neither Indigenous nor white, but in between worlds — a "third space" where identity evaporates, abuse is common and suicide is a common result. Such in-between worlds are ripe for abusers such as Ralph Rowe, a former Anglican priest in Northern Ontario who assaulted hundreds of boys in Northern communities, basically got away free, and left a legacy of many suicides. Generations of Indigenous children have grown up without the basic determinants of health: clean water, safe houses, supportive families. Talaga argues that a people's health is the outcome of their social and political circumstances. Equally important to Indigenous peoples is the access to effective alternative medicines. When Indigenous people were forcibly removed from the land, and their children sent to residential schools, an important link to cultural values and knowledge around healthcare was lost. In addition, Western medicine and medical practice have not been delivered well to Indigenous peoples, creating the worst of both worlds. The result? Indigenous people everywhere generally have worse health than the general population, and a shorter lifespan. And the bottom line for Talaga: healthcare is a matter of social equity. Indigenous peoples have been subjected to genocide in many places: Canada, Australia, Brazil, even the Arctic Circle. But Talaga points out that First Peoples have a history of resistance. She recounts a student revolt at a residential school, explaining why it's symptomatic of a general revolt: Indigenous people in Canada have been planning and mobilizing to create a political space for themselves for a long time. What Martin Luther King Jr. did for African-Americans in the 1960s was an inspiration for the founding of the American Indian Movement. Political action and protests over the years have led to dramatic changes for U.S. First Nations. The ripple effect has spread to Canada, where the Idle No More movement brought Indigenous issues front and centre. Increasingly, Talaga observes, Indigenous communities are demanding a political and moral authority over their own communities that they have historically been denied. "This is where we are from. We have always been here." The CBC Massey Lectures is a partnership between CBC, House of Anansi Press and Massey College at the University of Toronto. This year's lectures are also created in collaboration with the Toronto Star and the Atkinson Fellowship in Public Policy. The fellowship is made possible by the Atkinson Foundation, the Honderich family and the Toronto Star. The lectures are named in honour of Vincent Massey, the first Canadian-born Governor General of Canada. 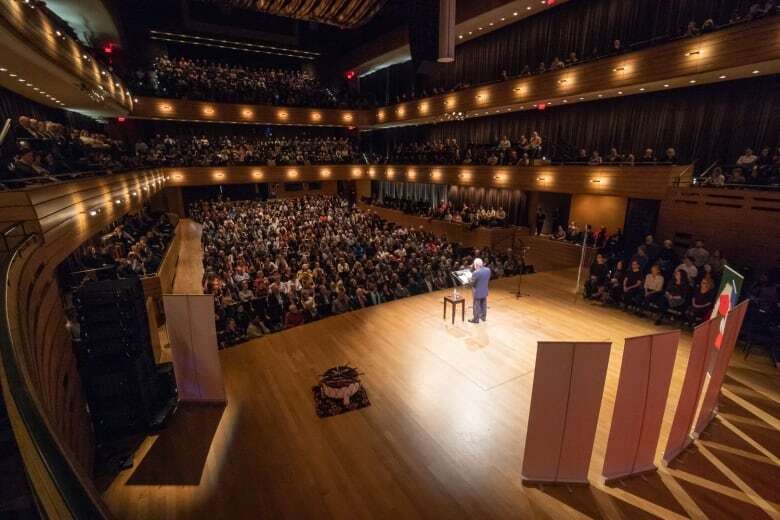 Since their creation by the CBC in 1961, the Massey Lectures have established their place as a Canadian institution and become an annual highlight of our cultural life. The five talks provide a forum on radio where contemporary thinkers can explore important issues of our time. 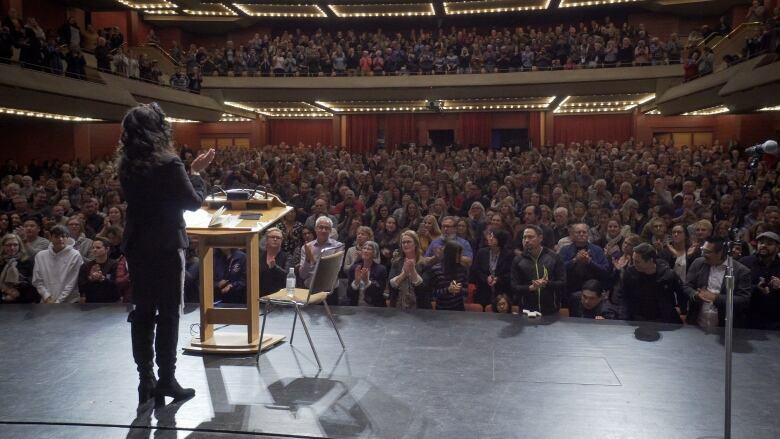 Former speakers include Martin Luther King Jr., Margaret Atwood and Stephen Lewis. These days, the lecturers are all Canadian, and the series is recorded on a cross-Canada tour. The book of the Massey Lectures is published by House of Anansi Press.